My second trip was a 1200 mg ride into a swirling colored-plastic mindscape during which I found myself privy to the very workings of my brain--an insider’s view--which left me sad and horrified and exuberant. I had read about the phenomenon of ego-loss in many trip reports and I thought I knew what people were talking about from my dabblings with LSD over the years. I didn’t. What happened to my sense of self while on high doses of DXM forced a fundamental deviation in what I had believed I understood “me” to be. I glimpsed the underpinnings of who or what is in charge of the brain. I cover the experiences in the order that the trips were taken. With each trip I encountered more and more profound things and I became better and better at navigating the realms I would find myself in. The trips were done lying down with eyes closed for most of their duration. Notes 2/16/03: The DXM trip doesn’t feel like astral realms. I tried to project and found myself hopelessly in my head. I am convinced that the machinelike workings I was witnessing were inside my brain. As the doses kick in (about 200 mg every twenty minutes) “thick” taffylike, vaporous light churns and spills like lava in 0 gravity. . . .
At first I wondered if these “thick lights” or “mind taffy” (which is often reported) was a sort of thought potential--thoughts in waiting, that I was witnessing from my vantage point, feeling completely disconnected from these things, yet knowing they were me! Later, as the effects wore off, I could still see them faintly, (with eyes closed) and I could see that they were made up of thousands (millions?) of individual strands of light, like a fiber-optic cable. I thought that I must be seeing the retina at work, or “I” was somewhere in the brain where awareness processes sight. Notes: I make a mental note: Everywhere I look I am seeing with peripheral vision. I can see perfectly, every detail, but I can’t stare directly at anything--with “what” am I seeing? In my dream logs I have recorded my “scientific” approach in lucid dreams, where, instead of moving into the landscape searching for adventure, I would check to see if surfaces like a tree or wall were “hard” to the touch (they always were). Or, to see if I am “making-up” the scene, I would inspect things like paint flecks on a window sill, or tiny pebbles and grains of dirt on a road. (The paint flecks and tiny grains were there, perceived absolutely as if I were using my physical eyes.) In doing this close observation, it never occurred to me to check if I was able to look directly at a pebble say, because I could . . . stare straight at it as if I were looking at it or handling it in the “real” world. After discovering that everything I was seeing was peripheral in the DXM realm, I paid special attention the next time I had a lucid dream--and yes, I was perfectly able to look directly at any detail. The conclusion: the mechanism with which I was “seeing” on DXM is not the same one as is utilized during lucid dreaming. Notes: Beyond the taffy-clouds I settled into the trip and I encountered the Golden Wall, something I’ve read about more than once in trip reports. It is a huge barrier of shimmering yellow light. I can bring the Wall into range by “staring” at one spot on its surface. As I come right up against it I can see minute detail--it is not smooth but bumpy and pitted and does not change. When I stop against the side of it my attention gives way and I’m back in my bed, where I close my eyes again. . . . I hadn’t at this point developed a solid idea as to what this wall might be. I though it might be a visual manifestation of the Memory Barrier that causes the memory of dreams or insight gleaned during the psychedelic experience to be squelched even as one tries to assimilate them into everyday reality. This might be part of the story with the Wall, but later I found a further connection between it and the way memory is stored in the brain. Notes: In the caverns of taffy; I have begun to notice tiny lights and shapes that seem to be knowing, aware molecule-like things. They are perfectly defined, moving in orbits and performing maneuvers and tasks. In and beyond the Taffy-Clouds these “molecules” abound and I would later “see” them during every trip. Right away it is apparent that these things are doing . . . performing tasks in tight choreographic maneuvers--going about their duties in a very animated and no-nonsense way. They are brightly colored, sometimes striped blue and black, or yellow and red--every color is represented in some part of their dance. They come circular or barrel shaped, amid tendrils of green plasma, and at times whole clouds of tiny light spots will cluster and move together like a school of fish, glowing like neon orbs. I am reminded of what electrons might look like in a computer program if one could observe them in action. From my first encounter with these things, I knew without any reservations that I was “seeing” life. Were these things me? A part of my brain, or some Other? 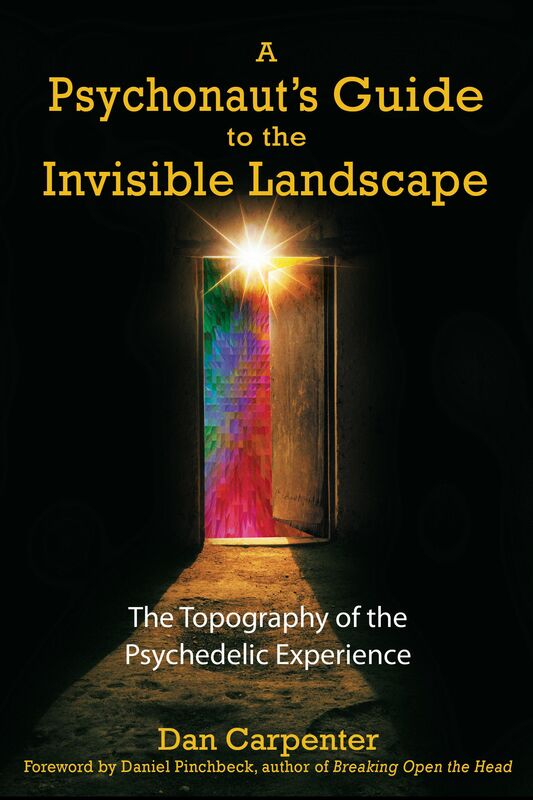 Dan Carpenter (1963-2005) took 13 high-dose, closed-eye trips using DXM between January 2003 and July 2004, which he has documented in the book A Psychonaut's Guide to the Invisible Landscape.